With a philosophy routed in the recognition of each child’s individual needs, Forest Grove’s early learning academy welcomes first-time students to a nurturing classroom setting full of endless potential! Forest Grove views preschool as the first two years of our four year programming, which guarantees future success inside and outside of a classroom setting. With a modern curriculum that encompasses all developmental domains including, but not limited to, emotional, cognitive, literacy, math, leadership, problem solving and innovation we prepare our students for a prosperous academic future. Rather than spend an entire day (and school year!) 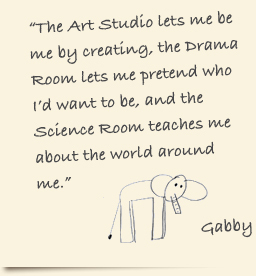 in a single room, Forest Grove offers our students three spacious rooms equip with the resources to focus on art, science or drama. Children have a rotary schedule that allows them to enjoy all three spaces during the week and keeps our school days new and exciting. Forest Grove understands the importance of building a teacher-family connection and recognizes the importance of creating a collaborative experience between families, educators and students. Triannual teacher-parent interviews invite families into the school to review the progress and development of each student throughout the academic school year.